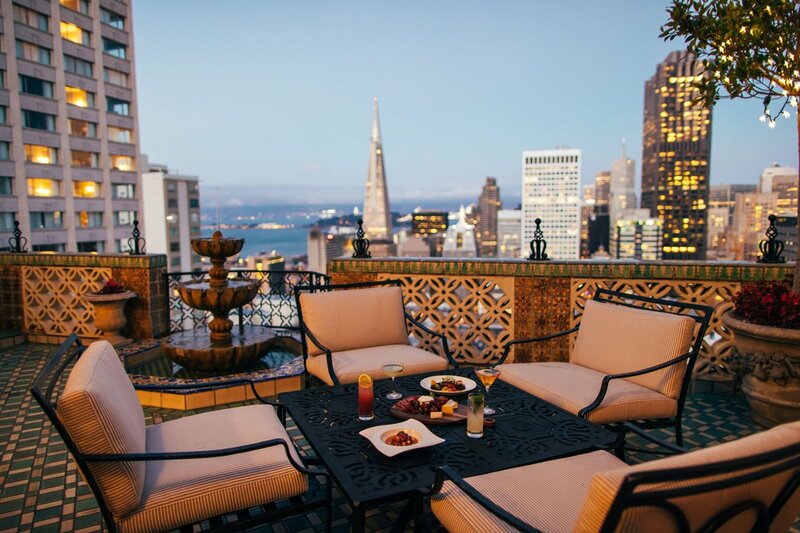 The sweet view from the penthouse at Fairmont San Francisco, . All photos courtesy of Suiteness. Hey! How great does this sound: Vacation with your best friends in a gorgeous rental home everyone is psyched about. The party starts at the airport. Oh no. That home is owned by creepy hosts. Who drop by once a day "just to say hi." Two days in, you're really sick of doing the dishes. And why are those bath towels so flimsy? Chill in style at Proper San Francisco, . A round of pool at the Penthouse Suite at the Fairmont San Francisco, . You could win $50 to $5,000 in booking credits daily. Increase your chances of winning by sharing with the friends you want to take on your next vacation. · Gorgeous connecting rooms and living areas for up to ten of your friends or family, with the right balance of privacy and shared spaces — without having to book multiple rooms. · Access to a team of Ritz Carlton-trained concierges who can offer 24/7 assistance — for free! — on whatever you need to organize your vacation. · Easy payment options over time and an easy way to pay as a group. · No spending the flight worried that you might not be able to get into the home you rented. Back to that giveaway: Starting today, September 17, Suiteness is for a month, until October 16. Set a reminder to go to every day for up to three chances to unlock 13,000+ prizes and win credits ranging from $50 to $5000 toward your next trip. If you want to increase your odds of winning, you can refer friends — especially the ones you like to travel with. Sporty style at Chicago Athletic Association, .